With Spring here, I've been loving experimenting with different makeup looks, and to do so I've been shopping my stash. I recently rediscovered NARS' Larger Than Life Long-Wear Eyeliner in the shade Rue de Rivoli, and I've really been enjoying it! Rue de Rivoli is a moss green with a slightly metallic finish. 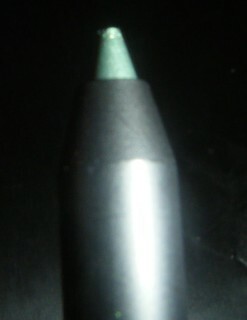 I own three of NARS' Larger Than Life Long-Wear Eyeliner, and I really enjoy them. The formula is creamy, but still very long-lasting. The colour glides on to my lids, and it's easy to apply on the upper and lower lash line, as well as tight-lining. These liners don't smudge or fade on my eyes, which is really great. I also love the packaging, since these are twist-up liners no sharpening is needed! There is a tiny sharpener built into the bottom of these liners, and I have yet to figure out what their purpose is. If anyone knows, please let me know! I really like pairing this mossy forest green shade with gold or neutral shadows. I think that a colourful liner like this one can really brighten up your eyes and it's a fun way to change up a neutral eye. 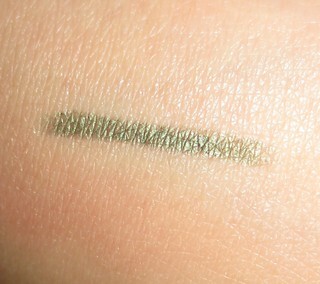 Rue de Rivoli is a great colourful liner, but it's still very wearable, and I think that it's work-appropriate. Have you tried any of NARS' Larger Than Life Long-Wear Eyeliners? They are pricey, but they have some great shades in the range, and the formula is great. I have been on the lookout for a new eyeliner. I should pick this one up after your review. The shade you picked is great too. We have not tried NARS but we do love a nice green eyeliner. Such a pretty color!